A key element of this Transatlantic Trade Agreement, but only one of hundreds of highly controversial proposals, is the move to deregulate the status currently accorded to imports of GM seeds and plants for cultivating in European soils. A determined effort by all of us, who care about real food and real farming, will be needed to stop one of the most insidious attempts yet to end Europe’s widespread resistance to genetically modified organisms. 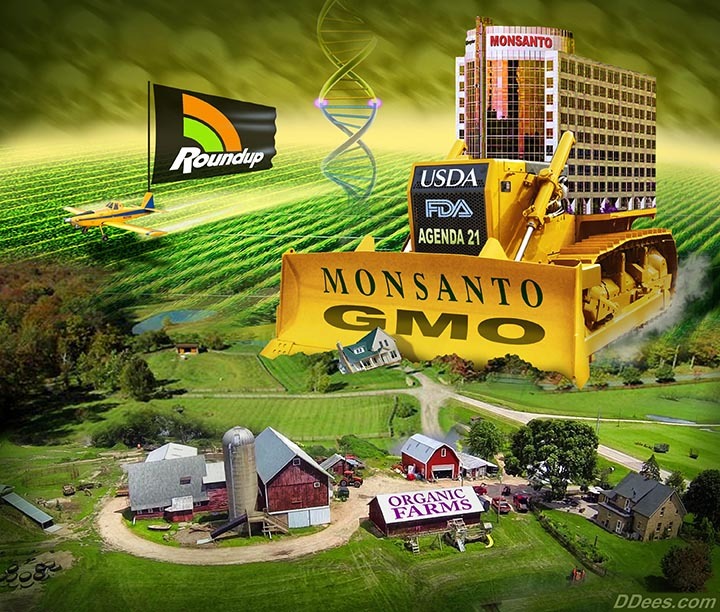 In particular, the use of GM seeds in European agriculture, leading to genetically modified crops being grown in areas that have, up until now, successfully resisted the GM corporate invasion. The EU has so far licenced just one GM maize variety (MON 810) to be grown within its territories, and one potato variety (Amflora) for industrial starch production. Up until now, the EU has acted according to a largely restrictive trade practice concerning GM and other controversial food products due to major public pressure, as well as under a broad EU ruling termed ‘the precautionary principle’. All that could be about to go out the window under current negotiations between the USA and the European Commission to ratify a new trade agreement known TTIP, the Transatlantic Trade and Investment Partnership. The objective of this ‘partnership’ is to facilitate far going corporate control of the international market place and to prize-open the mostly closed (but not locked) European door on GM crops and seeds. While this corporate heist is being eased into place, replicas are being negotiated between Canada and the EU under the title ‘Comprehensive Economic Trade Agreement’ CETA. And as if that wasn’t enough, a further dismantling of trade tariffs is underway via the ‘Trade In Services Agreement’ TiSA: a wide ranging further liberalization of corporate trading conditions as a direct continuation of the WTO (World Trade Organisation) GATS agreement, with its highly onerous, corporate biased ‘Codex Alimentarius’ sanitary and hygiene rulings. Indigenous seeds and medicinal herbs are particularly under attack via Codex. We can thus recognize, from the outset, that a very dangerous interference of the already leaky checks and balances that control the import/export market is underway here. The thinly disguised under-text reveals plans for a massive corporate take-over of all negotiated quasi-democratic trade agreements and food quality controls that currently take place between the US and EU. It is clear that the major corporate concerns are determined to overcome or dilute, all resistance to their unfettered ‘free trade’ goals. Where they are blocked, corporations are claiming the right to sue governments and institutions held to be ‘infringing the principle of international free trade.’ Such litigation procedures are not new, but the idea of writing them into a major trading agreement has sparked major controversy. For example in Germany, where one of the main Swedish nuclear power construction companies is suing the German government for billions of euros, with the intention of gaining full compensation for the ban on nuclear power enacted earlier by the Merkel government. To add a further sinister twist to this already draconian exercise in power politics, the court hearings on such actions are slated to take place in secret, in a court house in Washington DC. Such secret courts are already operational in the UK, where ‘sensitive cases’ can be heard out of sight of public scrutiny with no reports or summaries of the proceedings released into the public domain. Here we witness the Orwellian control system fully up and running, with its attendant undisguised destruction of many decades of hard won civil liberties. The unremitting and relentless nature of this neo-capitalist and corporate centralization of power is causing significant resistance to manifest itself: “The opposition in Europe to a transatlantic free trade area believes it has the momentum, buoyed by scare stories regularly amplified by the European media. A petition against the trade act surpassed the 1 million mark this week.” (The Guardian). We are all going to have to get involved to ensure a people led victory. For the purpose of this summary, I am not able to cover the full gamut of trading controversies being brought to a head by the ongoing negotiations, preferring to concentrate on the food and farming implications. But it is very important not to loose sight of the true intention behind all aspects of these nefarious trade agreements. As a precursor to TTIP, a major shift in GMO legislation was already voted-in by the EU’s Environmental Council on 12 June 2014 (the final vote to be taken in the European Parliament, January 2015). After many years of EU member state disagreement on GM issues – leading to negotiation stalemate – this controversial agreement devolves GMO decision making procedures from Brussels to EU member states. In the process however, it gives the green light to pro GMO governments to allow the planting of GM crops in their countries, while anti GM member states can put forward economic and environmental health arguments to ban GM crops. Under the first draft of this agreement, countries wishing to block GM plantings were called upon to seek permission to ban such crops from the very corporations that are proposing to introduce them! A proposal whose unprecidented arrogance echoes the corporate agenda of TTIP and CETA trade proposals. Fortunately, after intensive public lobbying, this clause was dropped (November 11, 2014, Environment, Public Health and Food Safety Committee). Nevertheless, what we have in front of our eyes is a strong GMO warning light. A dual alert in fact. Firstly owing to the EU Commission’s devolvement of ‘the right to decide’ to member states, and secondly owing to the TTIP agreement, which, if ratified, would allow GM crops and seeds currently banned in Europe – as well as various medicated animal products such as US hormone enriched beef – to have a largely unrestricted flow into the EU. By-passing, in the process, the ‘precautionary principle’ and the European Food Safety Agency’s views (for what they are worth) on the efficacy of such products. The TTIP agreement – if fully ratified, will, in effect, remove any differences in trade related legislation between the EU and US. In corporate speak, such differences are held up as being ‘trade distorting’. TTIP could also be used to attack positive food related initiatives in the US, such as ‘local preference’ legislation at the state level. It calls for ‘mutual recognition’ between trading blocks: trade speak for lowering standards. Consumer groups have already pointed out that mutual recognition of standards is not an acceptable approach since it will require at least one of the parties to accept food that is not of a currently acceptable standard. To put it in simple terms: the pressure to lower standards in Europe to ‘resolve the inconsistencies’ will be strong, and far more likely to succeed than the other solution: to raise standards in the USA. Phrases like ‘harmonization’ and ‘regulatory cooperation’ are a frequently occuring part of TTIP trade speak. But in the end it’s all going one way: downwards.. to the lowest common denominator. What this means is that new, highly controversial GM seed lines will have virtually no publicly scrutinized safety-net to slow or halt their progress to the fields and dinner plates of Europe. One of the most determined voices behind the realization of TTIP’s ambitions is ex Polish Prime Minister, Donald Tusk: As The Guardian tells us: “Taking office this week as the new president of the European Council, chairing summits and mediating between national leaders, Donald Tusk, Poland’s former prime minister, singled out TTIP as one of his main priorities for the year ahead” (report 08/12/2014). Tusk, as prime minister of Poland, had already displayed his bias towards big business, by backing strategies to sell tranches of Poland’s most productive farmland to the highest foreign bidders, while simultaneously cosying-up to the EU Commission’s big chiefs. Tusk is complicit, if not a leading voice, in supporting the overt centralization of political power in Brussels and the steady dismantling of national sovereignty: the right for countries to decide and control their own futures. TTIP and CETA are perfect weapons for the long planned for destruction of national sovereignty. Trade negotiators, GM exponents, big farming unions, agrichemical businesses and food processing giants are all in on the game and have strong lobby groups backing TTIP. Their view on what the word ‘cooperation’ means goes like this “A system of regulatory cooperation would prevent ‘bad decisions’ – thereby avoiding having to take governments to court later” (Corporate Europe Observatory). These ‘bad decisions’ constitute any attempts by governments to rein-in the overt lust for power which is the hallmark of the corporate elite. For example, biotech and pesticide giants Syngenta and Bayer, are taking the European Union to court over its partial ban on three insecticides from the Neonicotinoid family, because of their deadly impact on bees. However let us be clear, the European Union is only acting this way because of intense public pressure to do so; left to its own devices there would be no discernible difference between it and the corporate elite who stalk the corridors of power at the European Commission and European Parliament. The underlying goal of ‘regulatory cooperation’ between industry and the EU, is to have a continuous ‘on going’ dialogue (known as ‘living agreement’) that could ultimately render any final TTIP agreement largely meaningless. Meaningless, because it could by-pass any failures of TTIP to gain concessions on food and environmental standards by focusing on altering ‘implementation rules’ – rather than taking the more arduous route of altering ‘the law’ itself. Tinkering with ‘implementation rules’ simply offers another way for corporate friendly concessions to become enshrined in common trading rights. Reassurances from EU and US negotiators that “food standards will not be lowered” look highly suspect. Farmers should be alert to the fact that, because of TTIP, imports are highly likely be allowed that do not meet local standards, thus undermining national trading disciplines. If they get their way. All groups and organizations that care about retaining a largely GMO Free Europe and the consumption of genuine, healthy food – in tandem with the ecological farming methods that produce it – had better jump to the task of stopping TTIP, and its related trading blocks, from destroying the last line of defence against a complete corporate take-over of the food chain. Join the resistance! Check the internet and join one of the groups in your area that are committed to blocking TTIP and CETA. This entry was posted on 24 December, 2014 in homepage and tagged GMO, Government Corruption.Organic food, Julian RoseDavid Dees, Transatlantic Trade Agreement, TTIP. Bookmark the permalink. Most of Europe seems to know nothing of this but it is not yet actually illegal to talk about it. Can anyone direct me to good, simple explanations in German and Italian please?